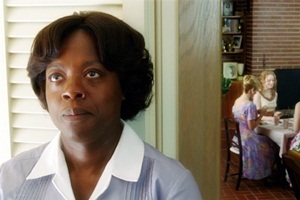 Since her appearance in The Help, the fashion and entertainment world have finally sat up and taken notice of actress Viola Davis. By no means a newbie – Viola has been in films as diverse as Nights in Rodanthe and Madea Goes to Jail – she is finally getting some mainstream love. Viola got a standing ovation after she shared her story of growing up poor in Rhode Island, her dreams of making it in Hollywood and the continued struggle to find meaty roles for black women. There are so many talented black actresses – Regina King immediately comes to mind – but we struggle to think of more than a handful that have had a stellar acting career. No wonder Tyler Perry was the richest man in entertainment last year ($130 million to be exact) , he is single- handedly keeping the careers of black actresses alive. We may not love Madea but if he didn’t make these movies a lot of black actors would be out of work. And where else would we see people like us on the big screen?